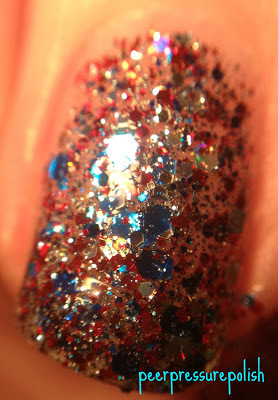 Today's mani is a polish that I have seen on so many people as their 4th of July mani. That's because it is a perfect polish to represent the red white and blue. Well there are lots of awesome ones out there, but this is the best one I own. 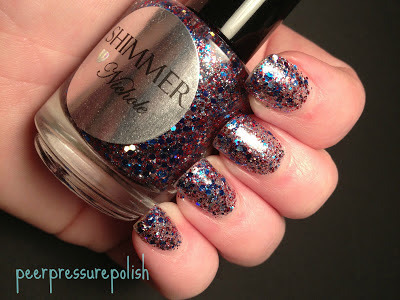 This is Shimmer Nichole, another polish that was sent to me for review from Shimmer. I only have one more! 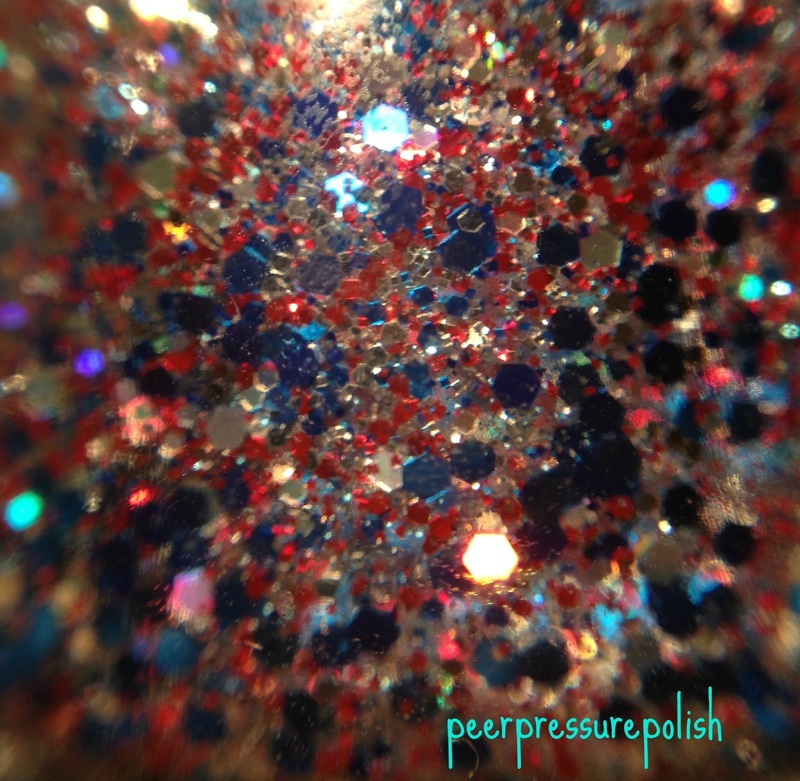 I am very very thankful for this and every single polish I have been sent for review. I know that my blog isn't the biggest or the best, I am grateful that these companies have given me the opportunity to review for them. This is three coats of Nichole over one coat of Rejuvacoat and one coat or Orly Bonder and topped with two coats of HK Girl. 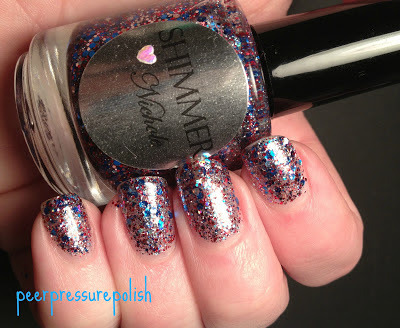 No undies needed for this full coverage glitter! Shimmer does such great glitter mixes! Wow, THE KarenD!!! I follow your blog religiously!